I’ve been pretty darn good this year and Santa knows it! So I have a feeling that my Lands’ End personalized stocking that is hung by the chimney with care will be getting some extra lovin’ come Christmas Eve — wink, wink. 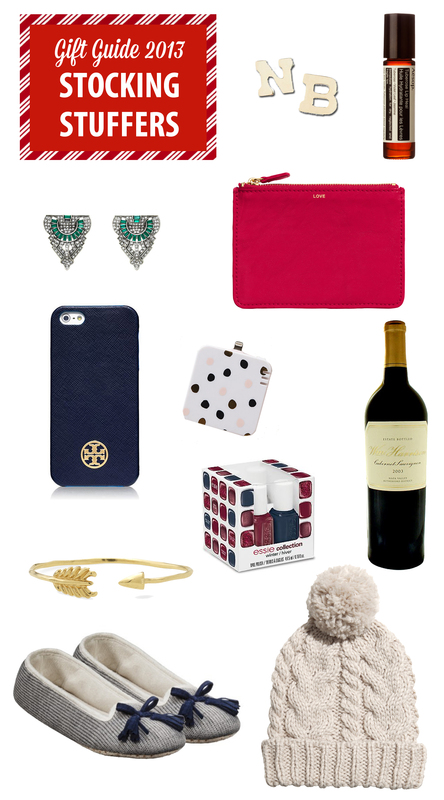 These little gifts will fit perfectly into your lady love’s stocking too! 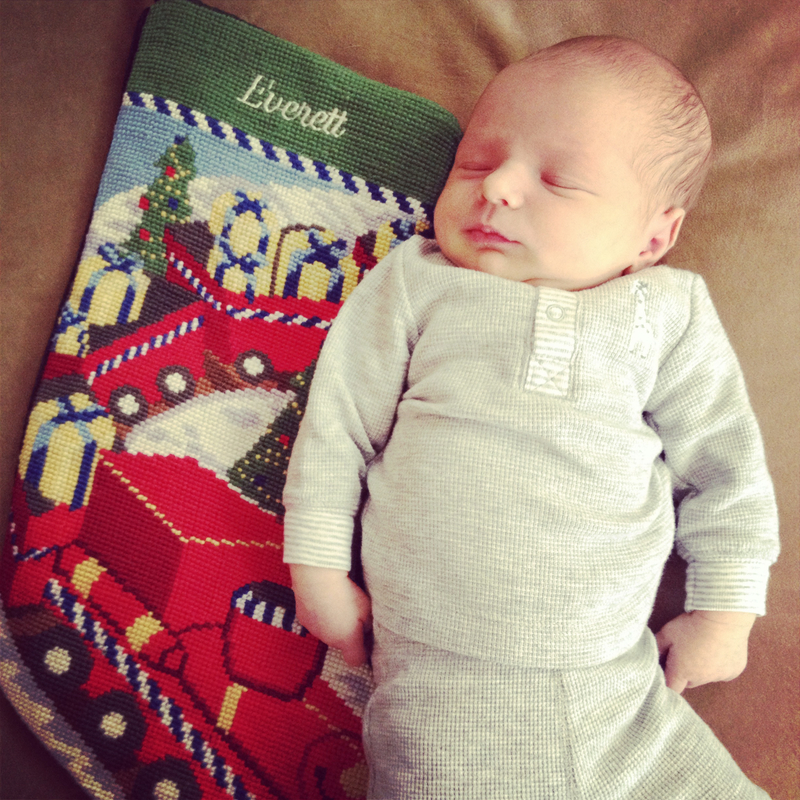 And for good measure, here is Evie with his stocking lookin’ all snuggly and cute! This entry was posted in Gifts, Holidays and tagged Aesop, Anthropologie, Bonnie Jonas, gift guide, H&M, Stella&Dot, stocking stuffers, Target, Tory Burch, William-Harrison Winery. Bookmark the permalink.